The Kunming Institute of Botany will soon celebrate 70 years of scientific achievement that have made it an influential research organization at home and abroad. The long string of accomplishments began early in KIB's history, in the 1940's, when Prof. Cai's introduction of a variety of tobacco from <?<st1:State w:st="on">Virginia, <?xml:namespace prefix = st1 />USA went on to boost Yunnan's huge tobacco industry. In the 1950's, a team lead by professors Wu and Cai successfully tackled the problem of growing rubber trees in forest lying between 18 N and 24 N, and their achievements were warmly welcomed by both the rubber industry and the government. Showing amazing foresight, Prof. Wu proposed the establishment of protected natural areas as early as 1956, setting the course for China's Natural Reserves. 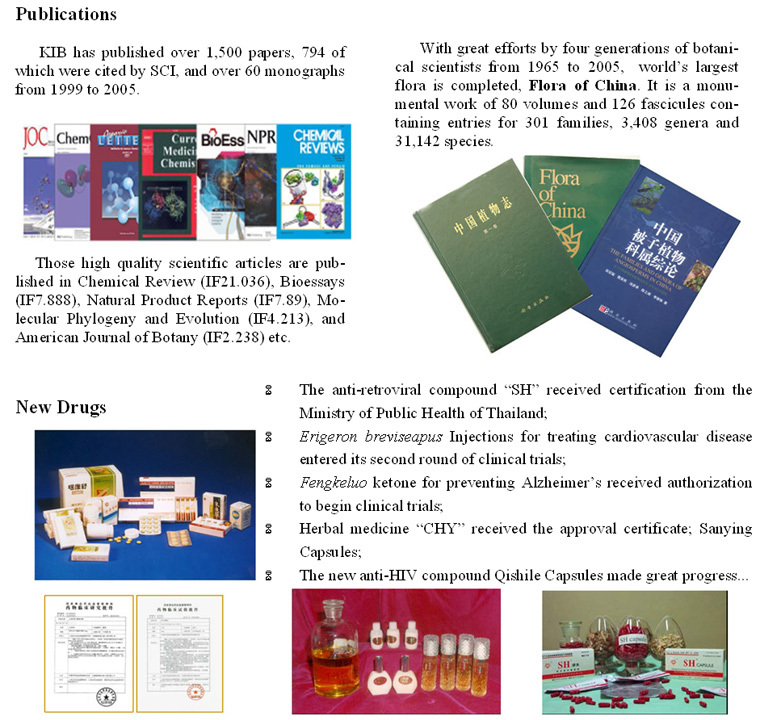 In 1979, ground-breaking research on the isolation and identification of the ecdysone made China the only country in the world to industrialize the hormone, and earned KIB the National Innovation Award. 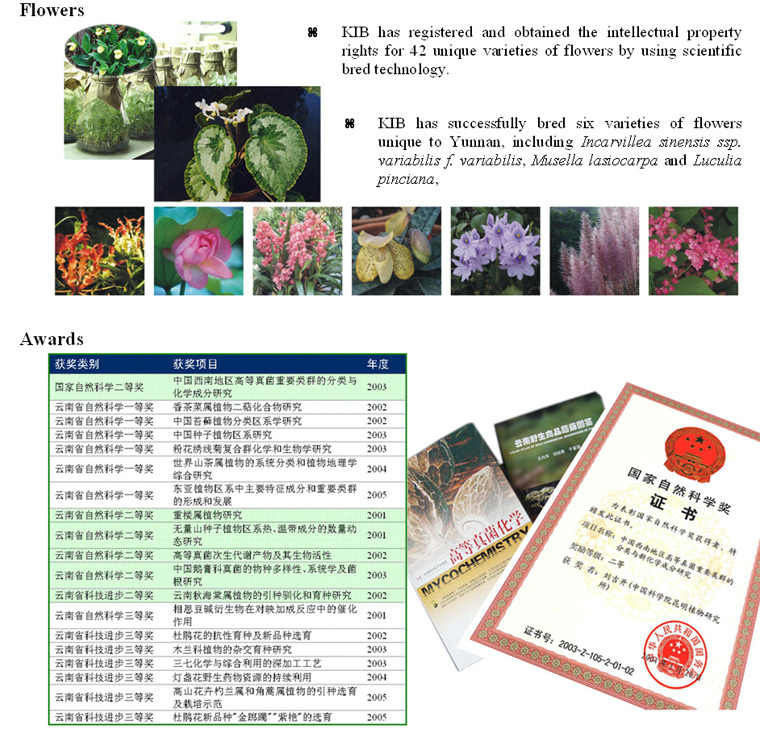 KIB's participation in the joint comprehensive research program on the genesis and evolution of species on the Qinghai-Tibet Plateau in the 1980's was awarded the CAS's Special Scientific Innovation Award in 1986, and in 1989 received the NSAC, 1st Class. Recently, KIB successfully developed a new anti-retroviral drug, providing hope for the millions of AIDS-HIV patients worldwide, and disseminating knowledge of Chinese herbal medicines to the world.